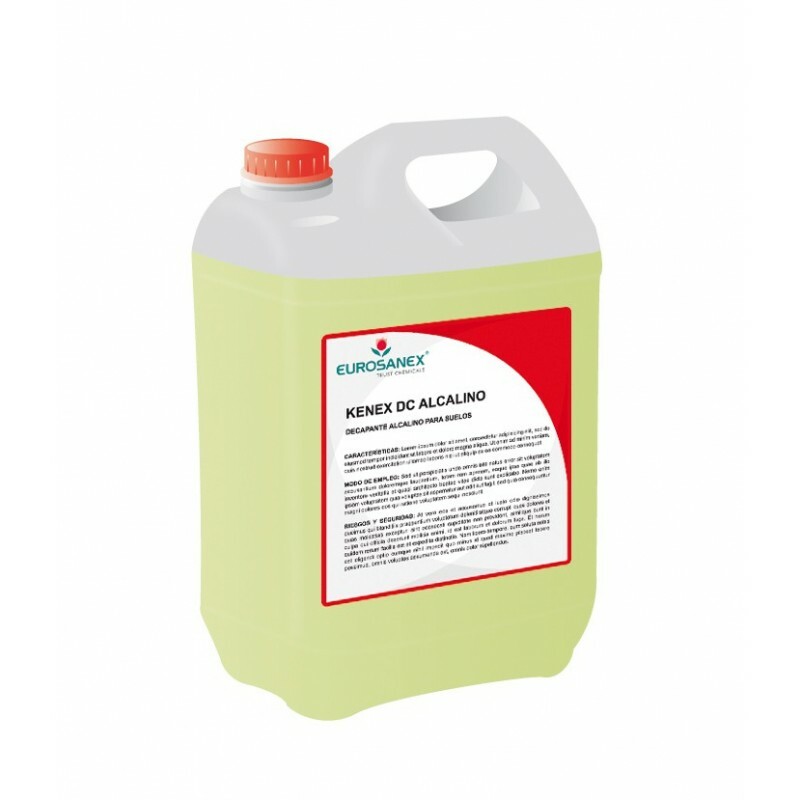 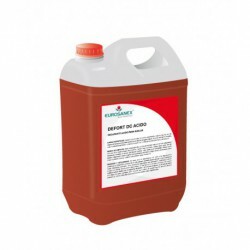 The KENEX DC ALCALINO alkaline floor stripper is a product that removes wax remains to obtain the best results when carrying out a floor treatment in professional hygiene. This alkaline floor stripper completely removes all remains of previous applications of wax and polishing emulsions. With justÂ 1 liter of product itÂ can be used to treat between 40-50 square meters, depending on the dirt and porosity of the pavement. 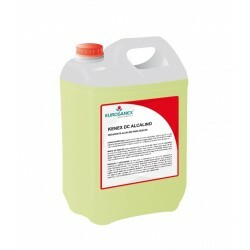 Use KENEX DC ALCALINO dissolved in water, in a proportion between 5-10 % depending on the level of dirt, incrustations, and floor quality. Treat small areas with a scrubber-dryer or rotary machine, using a black or brown disc. Rinse quickly and thoroughly with water to avoid long contact of the product and the surface. It is very important to completely clean the stripper. 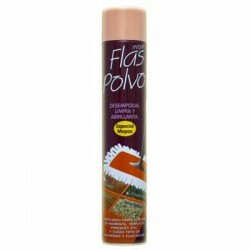 Any residue can compromise the following polishing treatment.